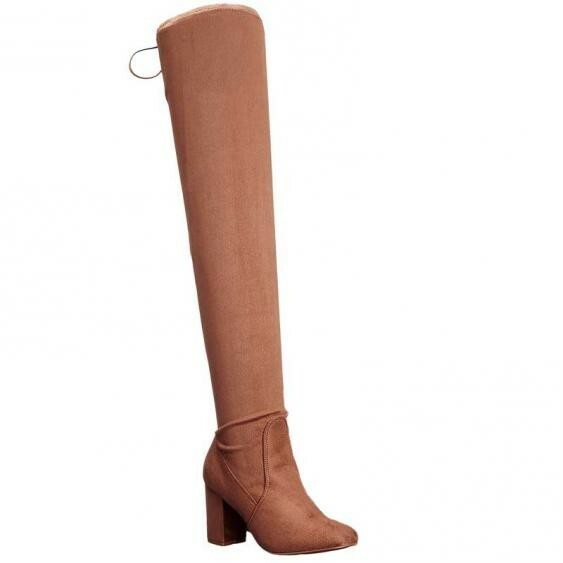 An over-the-knee boot is a must this season and they don't get any better than the Kiara from Chinese Laundry. The upper of the Kiara is made of faux leather and features a rear tie closure for a secure fit around the leg. The textile lining is soft against the foot and leg and the footbed is lightly padded for comfort. The wrapped block heel is about 3 inches tall and the shaft of the Kiara is approximately 25 inches. Slip into a pair of the Kiara over-the-knee boots from Chinese Laundry and you'll be turning heads all day long.